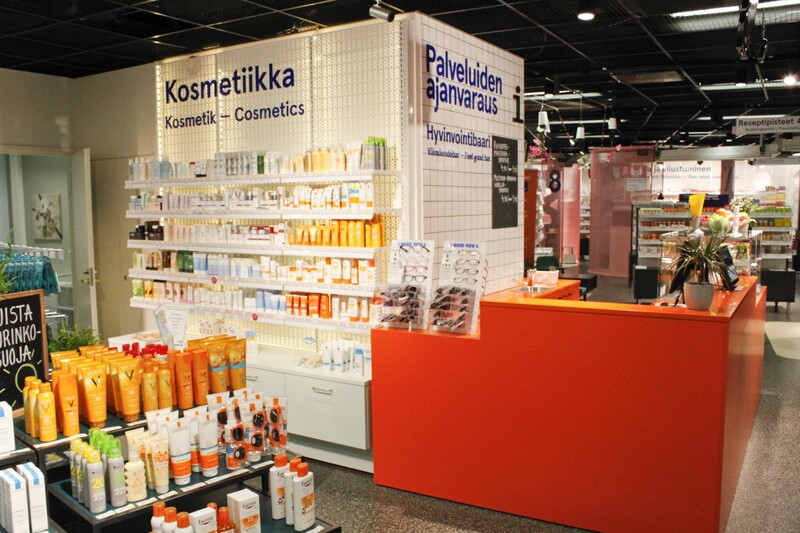 2nd of June Service Design Network Drinks was organized by Diagonal and a pharmacy Ympyrätalon apteekki. Do you use pharmacy services only when you are sick or have a hangover? Traditionally pharmacy has been seen as a place taking care of sick people. Now the focus is turning also towards healthy people who want to take care of their well-being. The focus is on the well-being. 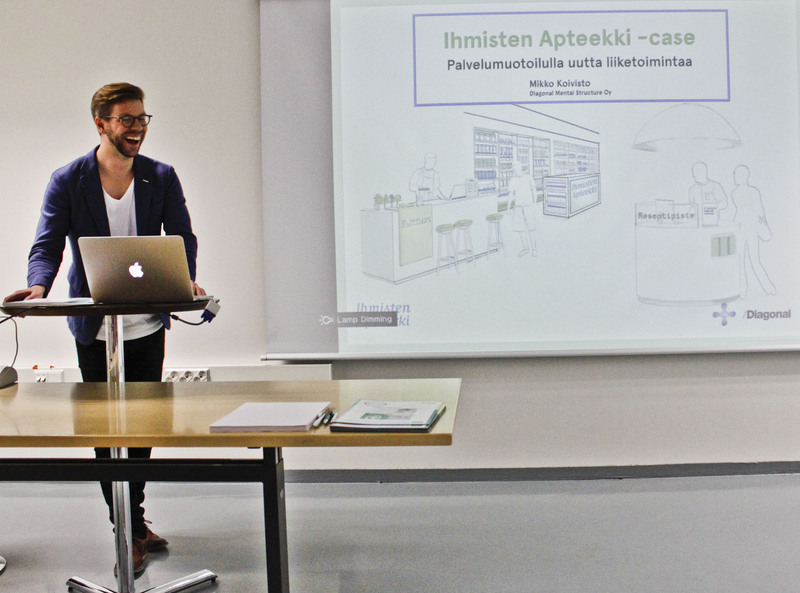 Mr. Mikko Koivisto a leading service designer from Diagonal told about the process how they managed to renew traditional business like pharmacy. The project consisted of three parts: customer understanding, concept phase and design and implementation. During the customer understanding part many service design methods was used e.g. mystery shopping, interviews, observation, shop-along, customer journey map, personas and benchmarking. Customers and employees of the pharmacy was involved at the ideation phase that produced new service ideas. The goal of the concept phase was to produce visualisations of the ideas and concepts discovered through research. The ideas were tested at pharmacies. The employees of the pharmacy were educated to a new service concept and they took it as their own. A manual was produced to summarize all the key elements of the new concepts and services. The manual was also a practical tool to communicate the concepts to the other apothecaries of the (YTA) Yhteistyöapteekit pharmacy chain. 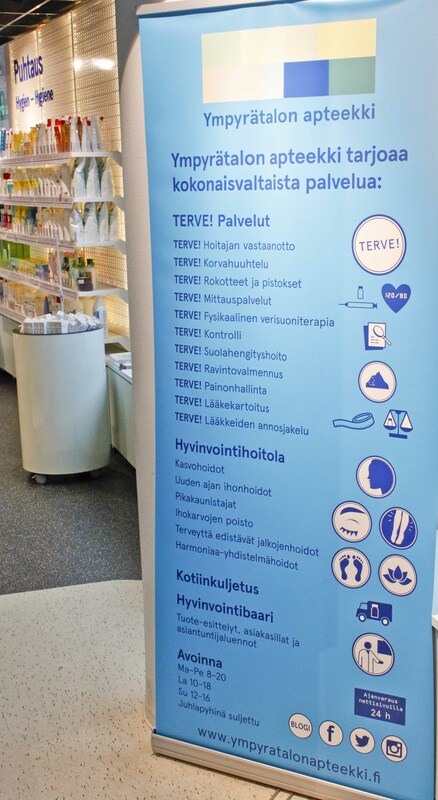 At the moment Ympyrätalo pharmacy offers over hundred different kinds of services. 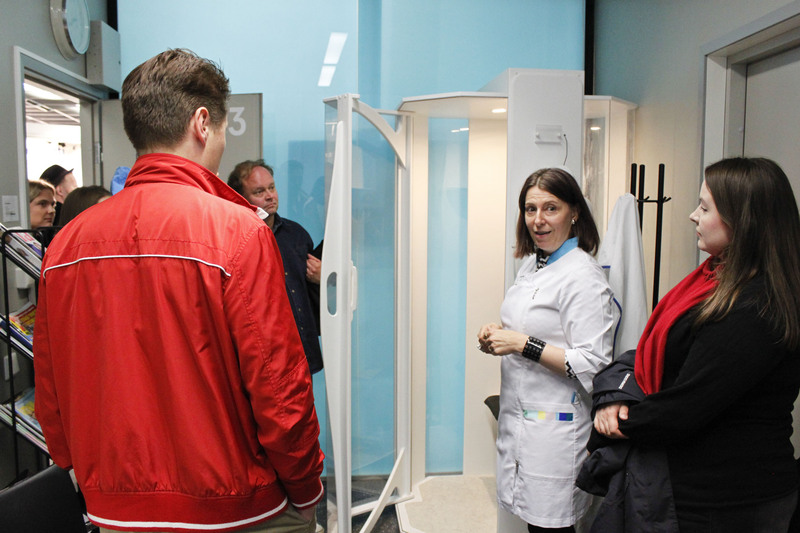 An apothecary Tiina Vaitomaa said that the most popular service at the moment is a salt therapy. It is especially common among singers who have to take good care of their voice. Mrs. Vaitomaa told that the key to success is to do co-operation with other companies because alone it is difficult to succeed. Mrs. Vaitomaa is an exceptional brave and innovative apothecary. She advises to innovate and test new things. One of the most important thing is to find multi-talented and committed employees. In the future consume of the services increases significantly and Ympyrätalon apteekki is already ready for that change. We wee talking about this with some people in the SID 2015 group a while back. Even though the pharmacy itself is great, the experience of those who had been to the pharmacy was a bit confused. The concept attempts to put the pharmacy in the wellbeing cluster of life whereas many of us thought that we often cluster pharmacies in the sickness cluster of life. Maybe our mental clusters should be challenged but because of the clustering we are used to, at least the students I spoke with were not inclined to get any additional services from a pharmacy but rather get what they need.